Many water meters can be rebuilt to run as accurate and reliable as a new meter. We have rebuilt meters in stock in many different sizes, brands, and types. 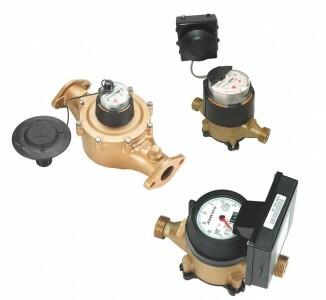 We offer Badger, Neptune, and Sensus, rebuilt meters and other major brand water meter manufactures. Each individual rebuilt meter has been completely gone through and all moving parts have been inspected and or replaced as needed. We provide test results for all water meters and offer a one year/one million gallons warranty. We can also save you money and time by providing you with a single source access for new water meters. If you need a positive displacement, turbine, compound, mag, or propeller meter we can help. Water meters for sale from the top water meter manufacturers like AMCO, Badger, Neptune, McCrometer, Water Specialties and many more. Water meters for sale from the top water meter manufacturers, for a FREE fast quote visit our Quick Quote Page. Mid America Meter has been providing metering solutions nationwide for the municipal, industrial, and agricultural industries for over 20 years. 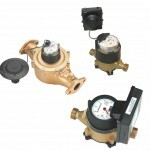 We have a long history of providing quality new and rebuilt meters from the top water meter manufactures. We also offer excellent customer service and support. Our dedicated staff can provide meter testing, repairs, and calibrations for most major brands and types of water flow meters. We service cold, steam, and hot water meters, as well as fuel oil meters, molasses meters, seal coating meters, and many more. In our newly designed meter testing facility we can test, repair, and perform flow meter calibration from 1/4" to 12" in size. Our capabilities include testing by weight, volumetric, and volume. We are experienced in all types of meters including propeller, positive displacement, turbine, compound,saddle, multi-jet, and mag meters. All major brand meters, including; AMCO, Rockwell/Sensus, Badger, Neptune, McCrometer, Master Meter, Hersey/Sparling, Water Specialties, and more. This means, if you have more than one type and brand of meter you will now no longer have to send them to more than one place. We offer quality workmanship, quick turnaround time and consistent AWWA /NIST-test procedures and reports that will save you money and time. And if you need to replace a meter, we offer significant savings by providing you with a rebuilt meter, or providing you with a single source access to new major brand meters. As an independent resource, we provide unbiased assessments, of whether the meter is accurate, repairable, or must be replaced with a new one.